There are several insurance options with wide range of coverage and services in the country, as there are several multinational companies with headquarters in Germany. At some point, their local insurance companies can be as good as international ones, if you understand the policies that you’re signing up for. Allow us to help you learn more about your insurance policies and how you can make the most out of it while you’re enjoying your expat life in Germany. German employers are legally required to take out medical insurance for their workforce. So start by understanding what are the level of cover your employer will give you access too and ask what would be a good advisor should you need to seek add-ons. From your gross salary, mandatory deductions are made for medical insurance, long-range nursing insurance, pension insurance, unemployment insurance and accident insurance. You can calculate what your estimate net salary will be here. The insurance industry in Germany is huge. Most of the most trusted international insurance companies are German companies, so getting insurance with the proper coverage for your lifestyle isn’t hard in this country. 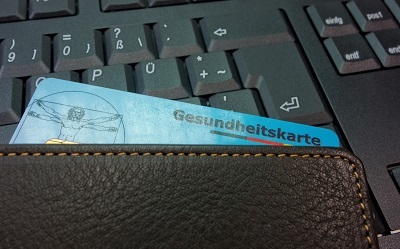 First of all, employees in Germany are obligated to make contributions deducted from their salary for four different social security services; health insurance, unemployment, pensions, and nursing care. The contribution will be paid by both the employer and employee equally with a total of about 40% of the employee’s gross income a year. These public social security services, however, are very efficient and easily accessible and of very high quality. You can be rest assured that you will have your money’s worth when it comes to this public service. Private insurance companies are large and can be very expensive in Germany, however, if you have an international insurance policy, you can be sure to get the bang for your buck when it comes to services and benefits that are specifically made to fit the lifestyle of expats. The best insurance companies in the country with international coverage are Allianz, Generali, and ALC. As Germany has several large insurance corporations, their local insurance companies can be as good as international insurance policies, but make sure that you know what you’re signing up for by asking about the coverage and the benefits that you will have with the insurance that you will purchase. Just because the company is international, it doesn’t automatically mean that the products that you buy will have an international coverage. Read the fine prints and make sure you understand what you’re getting so you can be sure that you’ll get the proper coverage you need and save a lot of money in the process. Allianz dominates the local insurance in Germany, and it is also one of the top international insurance providers in the world. Both local residents and expats in the country prefer international insurance companies but with additional local services, which Allianz provides. Other prominent local insurance companies in the country are Munich RE, and VHV Group.